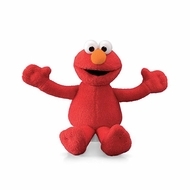 This 6" Elmo beanbag includes a hangtag with fun facts. The world's most huggable since 1898. Surface washable.